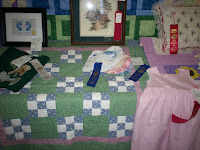 Here are the pictures of my quilted items. OK - now I have to really start paying attention. 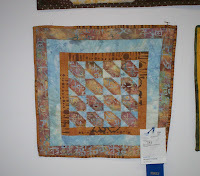 I know I saw these at the fair 'cause I always check out the needlework barns (much to my hubby's chagrin!) but I don't always catch the names on them. Congrats to you and your family - that's wonderful!